The Liberal Pulpit: Who Are My People? When I heard that as a teenager, it didn’t occur to me to ask, “What ‘we’?” A lot of us who now share this land didn’t come on the Mayflower, and none of our ancestors did. For African Americans, of course, many if not most of their ancestors who weren’t born in the New World but who died here were brought here on slave ships. 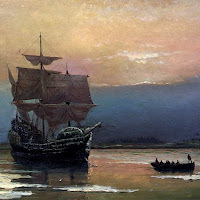 Others of us here today have ancestry among those who were here thousands of years before the Mayflower. And millions more have ancestry among people born in Asia, or in Latin America. And then there are some who are all of the above. Ancestry is a more complicated thing than we usually acknowledge. Figuring 25 years per generation as an average – 10 generations back will get you to 1768. Ten generations back, you had 1,024 8th-great grandparents. Who were those 1,024 people? Some of us have some 8th-great grandparents who were born in Europe, others were born in Asia, others were native peoples of North or Central or South America, and others were African-descent slaves. I have no idea how many people have ancestry in all of these camps, and its hard to know because we tend to be focused on whatever the most dominant identity is. Which is to say: we have been pushed into one box or another. None of my ancestors came on the Mayflower, I don't think. Where did my ancestors come from? A couple months ago I did a few of those DNA ancestry tests. I spit into the little tube they send you, and mailed in my saliva and 3 or 4 weeks later got the results. I was hoping for something interesting, but, alas, I am, in fact, as plain boring whitebread genetically as the identity I was raised with. English-Welsh – that would be mostly my father’s side – and Swiss-German – that would be mostly my mother’s side. The only mild surprise was that I have a fair chunk from Scandinavia. Oh, great. I'm from even farther north Northern Europe than I knew. Not that it matters. If I had some surprising level of Native American or African genes, it would do nothing to change the fact I look the way I look and was raised in this country taking for granted the privileges afforded to people who look this way. 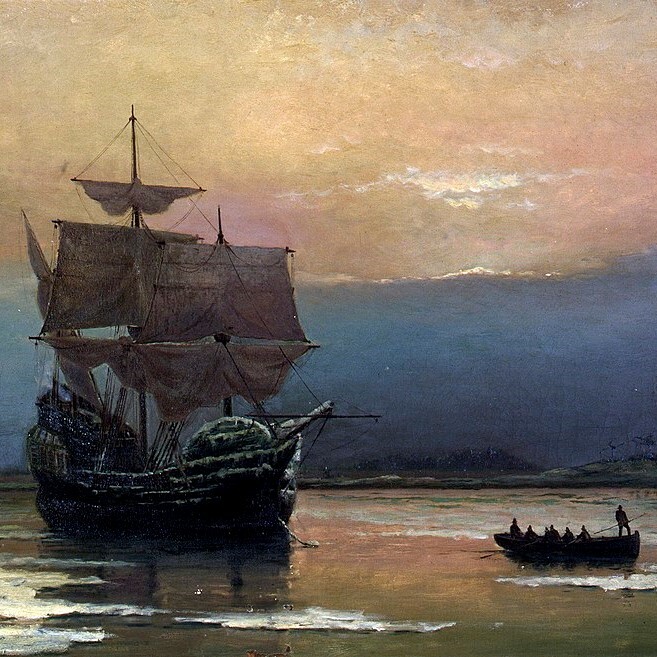 Even if none of my ancestors were literally on the Mayflower, and even if I think it would be "cool" to have a different heritage than I do, I have to own that those were “my people” coming on that boat. 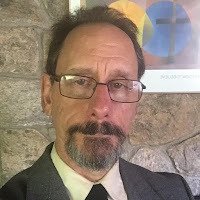 What exactly “my people” means is an ongoing question, but in some sense I inherit a certain kind of responsibility -- a certain karma -- as a cultural, if not genetic, descendant of those who came "on a ship they called the Mayflower." In some broad sense, I came on that ship. And as a teenager listening to Paul Simon, it didn’t occur to me how many people that song lyric excluded. That’s something that’s changed. My consciousness has been raised in recent years – as has many peoples’. America includes a lot of "we" who, even in a broad sense, did not come on the Mayflower. The song ends with an affirmation. Despite everything, “it's all right, it's all right. You can't be forever blessed.” So get some rest, cause there’s more work yet to be done. And, yes, the American Idea indeed requires more work if it's going to be revived as an idea -- if it's going to be realized. The U.S. today is a system decreed by the powerful – the colonizers and the descendants of those colonizers – the people who identified themselves as white and trained to recognize whiteness at a glance wherever possible. The original European colonizers were dominated by two groups. There were the religious seekers. What I learned in school was that they came here seeking religious liberty. And it’s true that many of them had been persecuted in Europe. They came here not to escape from orthodoxy, but to have a place to enforce their own. The other group were the ones who were deported here. England used its holdings in the New World as a sort of penal colony. People with debts they couldn’t pay or convicted of various crimes were deemed unacceptable to British society, so they were packed off to America. The dialog that defined what America would be largely excluded the Native Peoples, and the African slaves. The two groups “at the table,” as it were, for that dialog were the zealots and the hoodlums. What a weird idea this place is! This is part 2 of 3 of "The American Idea"
See next: Part 3: Ain't That America?